Living… in Twin Peaks, Washington. Her father, Ben Horne, is a millionaire who owns just about everything in the town. This means Audrey had a very privileged upbringing, but she also received far too little attention at home. She’s one of the town’s it-girls, garnering lots of recognition, and always wanting more. Profession… student at Twin Peaks High School. Audrey is president of the French Club and was voted “Best Dressed.” Though she was never really friends with classmate Laura Palmer, Laura tutored Audrey’s brother Johnny and worked for her father’s department store. After Laura’s murder sent shockwaves throughout the school and town, Audrey took it upon herself to conduct her own investigation. She infiltrated a Canadian brothel, One-Eyed-Jack’s, as a hostess, all the while making disturbing discoveries. Interests… learning the truth about her father. Ben’s ruthlessness and Audrey's own penchant for trouble-making cause constant tension between them, particularly when she ruins one of his lucrative business deals by interrupting a meeting with news of Laura’s death. But Audrey’s father may have more of a relationship with Laura than simply as her employer. Relationship Status… single. She harbors a big crush on FBI agent Dale Cooper, who’s in town to investigate the Palmer murder. But so far Dale is refusing to reciprocate, in part because of her age. Used to getting what she wants, though, Audrey isn’t put off easily, and her solo investigations are also motivated by a desire to impress Dale. 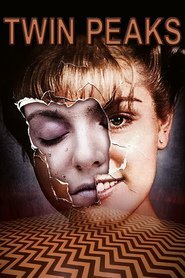 Challenge… being involved in the Laura Palmer case without becoming too involved. For all Audrey knows, there could be a killer on the loose, targeting attractive girls from Twin Peaks High. She’s also under the domineering influence of her father, who pressures her into entering beauty pageants, when really she’s more into civil disobedience. Her penchant for danger could leave her in a lot of trouble. Personality… moody. You don’t want to be on Audrey’s bad side. She’s inquisitive and charming, but can turn on a dime. She’s spoiled and naïve but not one to be manipulated for long. She uses her desirability to her advantage, maintaining an air of mysteriousness while getting what she wants. Audrey Horne's popularity ranking on CharacTour is #987 out of 5,000+ characters. See our top-ranked characters and read their profiles.